Antioxidant Support - Antioxidants such as Vitamin C, Vitamin E, Selenium and more work to help neutralize harmful free radicals. ** Excessive free radicals can damage cell membranes. Contains 90 timed-release, coated caplets. Other Ingredients: Vegetable Cellulose, Dicalcium Phosphate. Contains <2% of: Food Starch, Vegetable Stearic Acid, Vegetable Magnesium Stearate, Silica, Ethyl Vanillin, Natural Palm Leaf Glaze. Contains milk ingredients. Warning: Not intended for use by pregnant or nursing women. If you are taking any medications, planning any medical or surgical procedure or have any medical condition, consult your doctor before use. Discontinue use and consult your doctor if any adverse reactions occur. Not intended for use by persons under the age of 18. Store at room temperature. Do not use if seal under cap is broken or missing. WARNING: THIS PRODUCT CONTAINS A CHEMICAL KNOWN TO THE STATE OF CALIFORNIA TO CAUSE BIRTH DEFECTS OR OTHER REPRODUCTIVE HARM. Ultra Woman™ Daily Multivitamins is rated 4.7 out of 5 by 114. Rated 5 out of 5 by Grammy03 from Great products at a great price! 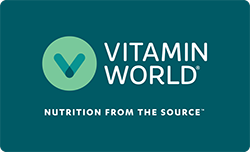 I use this product plus many others from vitamin world. They are gluten free and with the rewards club you get a great product at a great price! Rated 5 out of 5 by FallsDoll from Longtime Product I've been taking Ultra Woman Daily Multi for many years. Now that I am in Central Oregon, it's wonderful to be able to purchase online. Rated 5 out of 5 by Lisa53 from Excellent product I started taking these vitamins years ago and they are the best on the market. Rated 5 out of 5 by Rose33 from Best vitamins. I honestly don’t like pills,but this pills change my mind. excellent Product have to buy more soon! Rated 5 out of 5 by Anonymous from Ultra Woman Satisfy with the product. Rated 1 out of 5 by Laura11 from Difficult to administer Capsules are too big and they’re difficult and dangerous to swallow with a rough surface. I would not buy them again as unless there was a different format. Rated 5 out of 5 by Anonymous from Excellent product I have taken these for years. No other vitamin comes close to these.